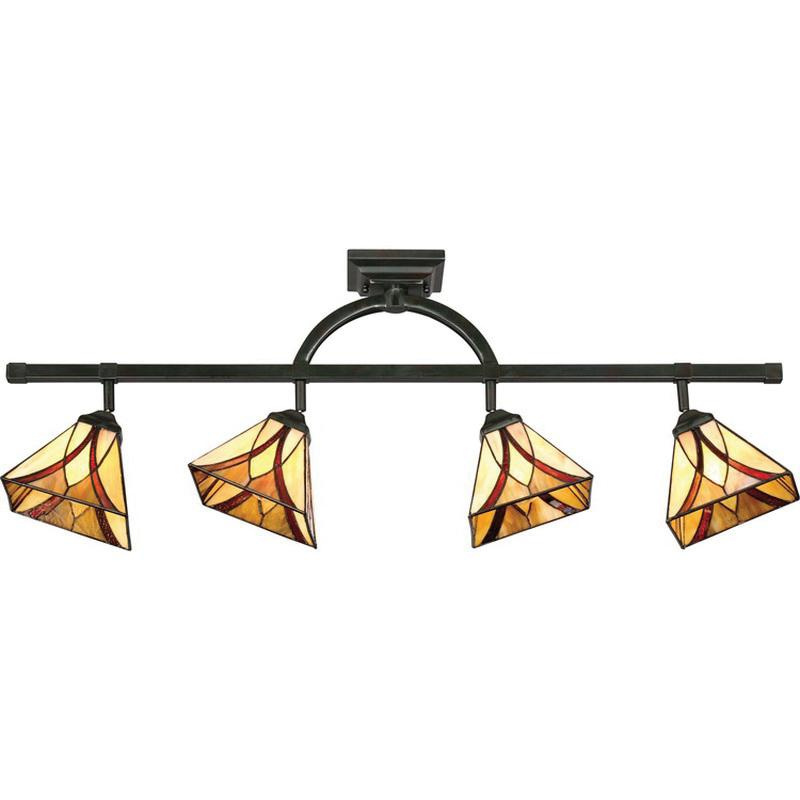 Quoizel Lighting Asheville Collection Track light employs four 400/92-Watt medium base or CFL lamps of tiffany glass shade. It has voltage rating of 120-Volts. Track light features steel base and bronze finish. It measures 43.5-Inch x 7-Inch x 13.5-Inch. Track light with 8-ft long lead wire, is suitable for damp locations. Track light is ETL listed.